The Sonoma Collection brings inspired design and intelligent functionality to the modern bathroom. The Sonoma 24-inch x 32-inch mirror with Matte metal frame harmonizes with the collection's vanities and wall cabinet for a contemporary, coordinated design palette. It can also stand alone as a graceful accent piece. Mirror hangs vertically. A rectangular wood frame mirror, made with solid birch wood finished in Dark walnut finish. It is warm and sophisticated to add to any bathroom. 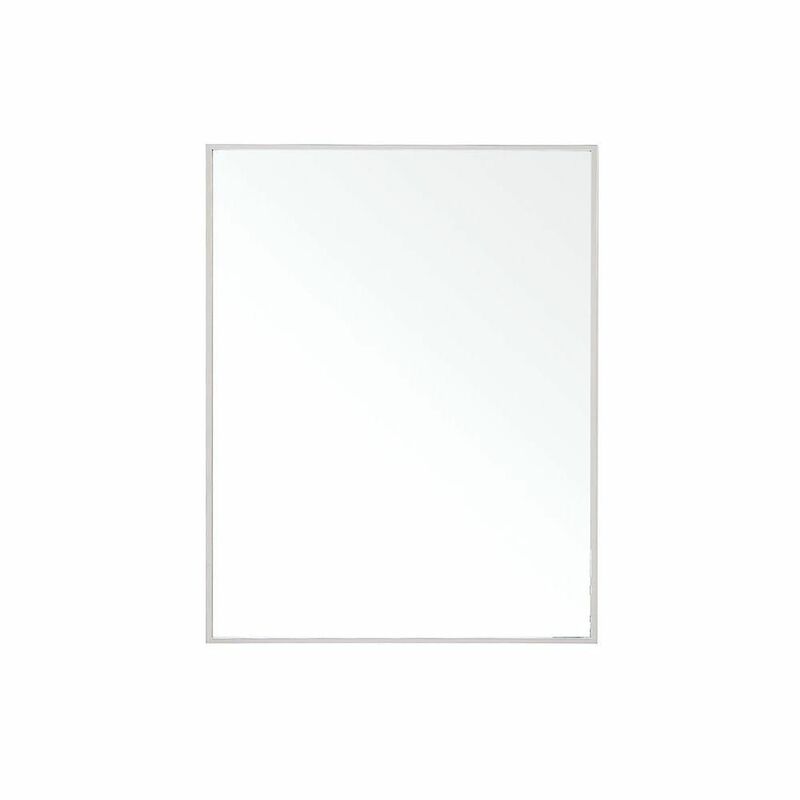 The mirror is a high quality 0.6" thick mirror prevent rusting against bathroom humidity. All mounting hardware are included. Wood+ veneer * Dark walnut * NA * Mounting hardware included * Faucet and mirror not included Faucet and mirror not included. Professional installation recommeneded. Sonoma 32-inch L x 24-inch W Framed Wall Mirror in Nickel The Sonoma Collection brings inspired design and intelligent functionality to the modern bathroom. The Sonoma 24-inch x 32-inch mirror with Matte metal frame harmonizes with the collection's vanities and wall cabinet for a contemporary, coordinated design palette. It can also stand alone as a graceful accent piece. Mirror hangs vertically.